The Black Widow hasn’t fought since her impressive debut victory in March and she believes she will be a much improved fighter when she steps in the ring almost six months on. 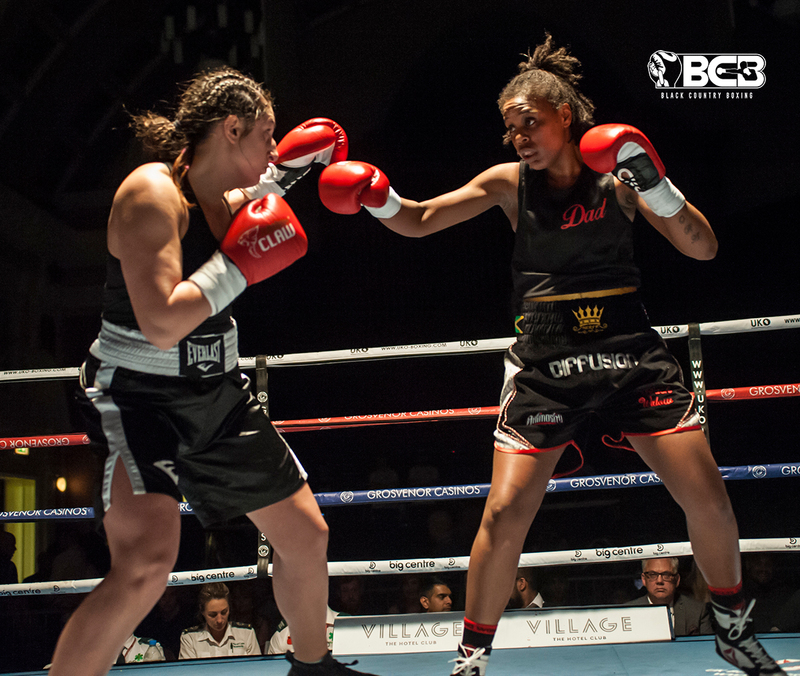 Johnson is hoping to put on a performance that will show everyone she is ready to make the step up in her career as she looks to emulate the likes of Katie Taylor and Nicola Adams. “I have been working on new styles for this fight,” she added. “I have only been working with Errol since March so there are a few changes he wants to bring to my game and we are working on that. Topping ‘You Asked For It’, which is sponsored by Grosvenor Casino Walsall, is the Midlands Area Middleweight Title clash between undefeated prospects, Tom Stokes (West Bromwich) and Tyler Denny (Rowley Regis) on Saturday 30th September. Bloxwich super bantamweight, James Beech Junior, Wolverhampton’s super flyweight, Kyle Williams, Kingswinford super welterweight, Danny Ball, Stoke light heavyweight, Luke Caci, and Ledbury super lightweight, Alex Florence, complete the card. Coseley welterweight, Tommy Ghent, no longer features.